On 17 November 2017, the Times newspaper launched a campaign to reform the divorce law in England and Wales. It is not clear what precipitated this campaign, but it may well be a result of a perfect storm of high profile matrimonial finance cases in the press, a private member’s bill being read in Parliament (of which more later), lobbying by The Marriage Foundation led by former High Court Judge Paul Coleridge, and the campaign already underway by Resolution (supported by the FLBA) for ‘no fault’ divorce, brought into sharp focus by the case of Owens v Owens, which is due to be heard in the Supreme Court in May 2018 (and in which five members of 1KBW are involved). In any event, the reforms sought by The Times are a slightly mixed bag. Some of the reforms called for are not controversial. For example, there is an overwhelming majority of specialist family practitioners (solicitors and barristers) who believe that ‘no fault’ divorce would be ‘a good thing’. The current law only permits a so-called ‘quickie divorce’ (although that in itself is a myth) if there has been adultery or if the Petitioner pleads that it is not reasonable to expect her/him to live with the other spouse anymore because the marriage has irretrievably broken down due to the ‘unreasonable behaviour’ of the other party. The only other options are to be separated for 2 years (with the consent of the other party to a divorce) or for 5 years (if the other party does not consent). Before ‘behaviour’ petitions were permitted, parties in the early to mid 20th Century who wanted a speedy divorce would concoct a fiction. Before ‘behaviour’ petitions were permitted, parties in the early to mid 20th Century who wanted a speedy divorce would concoct a fiction. They would stage a phoney adultery, often in hotels or B&Bs, with the other spouse fully aware and approving of the ‘adultery’ that was taking place. Latterly, coupes who both want a speedy divorce have been forced to concoct similar fictions, with the Petitioner pleading the alleged poor behaviour of the other party, even if in fact there was no poor behaviour and the reason for the breakdown of the marriage was simply that the parties did not love each other anymore. As the law currently stands, not loving each other anymore is not a good enough reason to obtain a divorce. Instead spouses concoct behaviour petitions that are as anodyne as possible, in the hope that the court will simply rubber stamp it anyway and the other spouse will not be too offended. This has the effect of poisoning the well almost immediately. A process in which, when they later come to divide their financial resources, parties are encouraged to adopt a conciliatory and sensible approach, is obliged to begin with one party being forced to make, often against their will, unpleasant allegations about a person they might have been married to for decades, and who might be the mother/father of their children. If the court rejects the allegations as not being sufficient, and if the other spouse defends the petition successfully then parties can be locked into a marriage which is plainly over, forced to wait 5 years. The case of Owens v Owens is proof positive of the absurdity. Strangely, however, The Times is also supporting The Marriage Foundation’s desire for reform, even though this is superficially at odds with the thinking behind the ‘no fault’ divorce campaign. The Marriage Foundation actually want to make it harder, not easier, for people to get divorced, and to eliminate ‘quickie divorces’ altogether by implementing cooling off periods – which is already the current law (ie: 2 years’ separation, if both parties consent to the divorce). Perhaps a combination of the two ideas would be to allow ‘no fault’ divorce, but not to allow that until there has been a period of separation. The question for Parliament will be ‘how long should people be separated before they can divorce without alleging fault?’. The current period of 2 years is far too long and can be destructive when the parties eventually come to divide their finances. 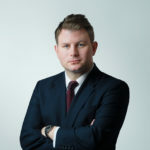 Assets may have been accrued in the 2 years’ post-separation; it will be difficult to obtain interim financial relief during that 2 year period; 2 years is a sufficiently long time to be able to salt way and/or hide assets, and would require financial disclosure going back at least 3 years which would hugely increase the legal costs of analysing the financial disclosure. It is also not particularly controversial that there ought to be better protection in law for couple who choose to cohabit as husband and wife but not to get married. The expression ‘common law wife/ or husband’ is simply a myth. It does not mean that an unmarried cohabiting partner attains any rights and access to similar laws that are available to people who are married. This is particularly important when it comes to dividing the assets of a relationship and providing ongoing financial support to those who might need it. Currently the only law in operation is the law of equity generally, the Law of Property Act 1925, and the Trusts of Land and Appointment of Trustees Act 1996, which govern property rights between individuals and entities. There are no special statutory rules for people who may have acquired property rights by living as a cohabiting quasi-married couple. Although the courts have tried, in cases like Stack v Dowden and Jones v Kernott, to address this by suggesting that certain equitable relief is more apt for cohabiting couples, it is a judicial fudge and can often still result in manifest unfairness. Indeed, concepts of ‘fairness’ explicitly must not encroach into the analysis of whether a trust of land has been created. The most worrying aspect of the campaign by The Times is its apparent support for the private members’ bill currently introduced to Parliament by Baroness Deech. The Baroness is not, and has never been, a family practitioner at the coalface of family law. Most lawyers actually specialising and practising in family law at the coalface do not agree with what she proposes. Baroness Deech wishes the courts of England and Wales to adopt a rigid and formulaic approach, with assets being divided according to a formula and with an arbitrary 3 or 5 year ‘cut off point’ for spousal maintenance. In the press, orders for maintenance which do not have a defined end date (so-called ‘joint lives’ orders) are pejoratively referred to as ‘meal tickets for life’, as though a person who receives maintenance from their spouse is receiving a totally undeserved windfall. In reality, ‘joint lives’ orders are now very rare. Section 25A(1) and (2) of the Matrimonial Causes Act 1973 obliges the courts to consider a clean break (ie: a terminating of spousal maintenance) as soon as it is just and reasonable. The only reason for any order continuing would be if undue hardship would result. This is often described as a ‘statutory steer’ towards a clean break. Moreover, any order for maintenance must be based on ‘needs’ alone. If a party does not have any needs, or could reasonably be expected to meet their needs from their own income or earning capacity, then no maintenance is required. These orders are not ‘windfalls’; they exist to assist parties who have needs which they cannot meet themselves, and those needs must have been caused by the marriage itself. For example, a wife who has no career because the parties agreed that she would be a stay-at-home mother has a need to feed, clothe and house herself which she cannot manage herself because she has an insufficient income. In any event, there has been a real shift in culture in the courts, in just the last decade. Joint lives orders are now a rarity, and those rare orders which are made are often brought to an end at some point anyway because circumstances change (ie: remarriage, cohabitation, retirement, illness). Nowadays, most orders have a defined end date, set by the court on a case by case basis according to the circumstances, such as the age of the parties, the earning capacity of the recipient, the ages of children, and whether it can be clearly ascertained that by a certain date in the future the recipient will be self-sufficient. There is an expectation that women of working age will, in most cases, find suitable employment as soon as they can. There are some cases where an undefined term is still appropriate. Imagine for example a 50 year old wife, who has spent the last 25 years raising 3 children in a ‘homemaker’ role. This enabled her husband to pursue his career free from the demands of childcare, and, now aged 50, the husband is in a senior position and commands a very high income. They have spent their long marriage living a high standard of living as a result, and they and their children are now used to that way of life. This is a very common situation. Yes the husband earned the money, but he was only able to do so because he was teamed up with a wife who played a supporting ‘homemaker’ role. The high income is therefore a fruit of the marriage, a product of their joint endeavours, their teamwork as husband and wife. Should the husband be able to enjoy that high income for the rest of his life, without sharing any of it with the wife? Should the wife have to start from scratch, aged 50, probably on the minimum wage because she sacrificed her own career prospects to enable the husband to pursue his own? In the Bill proposed by Baroness Deech, the wife in this example would receive maintenance for only 3 years. Therefore, aged only 53, any maintenance would cease she would have to spend the rest of her life living on a very low income while the husband continued to enjoy the high earning lifestyle that they built together. It would be a manifestly unfair result after such a long marriage. The 3 year limit on spousal maintenance is the system adopted in Scotland, and Baroness Deech draws support from this. However, it is notable that in Miller v Miller; MacFarlane v MacFarlane Lord Hope, who was the only Scottish Law Lord on the bench, criticised the Scottish system as producing manifestly unfair results. The beauty of the current system in England and Wales is that it is bespoke. People’s lives are played out in a myriad of different ways. There is no ‘one size fits all’ approach that works. Although judicial discretion is hard to predict at times, parties can always be assured that the courts will strive to produce a fair and just result that is bespoke for the unique facts of their case. It may not always be exactly what they hoped for, but at least they know that they will avoid a plainly unfair and absurd outcome. It is not just in spousal maintenance where a formulaic approach leads to unfairness in many cases. Adopting a Canadian-style formula (as Baroness Deech proposes) to the division of marital assets can also create plainly absurd results, with one party receiving far too much of the matrimonial assets, or far too little. Where the court has a duty to investigate and produce a bespoke and discretionary outcome, absurd results are extremely rare indeed (and can be appealed successfully). Of course, the specialist matrimonial finance barristers at 1 King’s Bench Walk are hugely experienced in both predicting the outcome and persuading the courts to produce the fairest results for their clients, ensuring that the unique facts of every case do not escape the judge’s decision.